It’s simply great to have all these features in IOT framework. I am using it very actively . thank you for providing this. However, I have following wish list. 1. 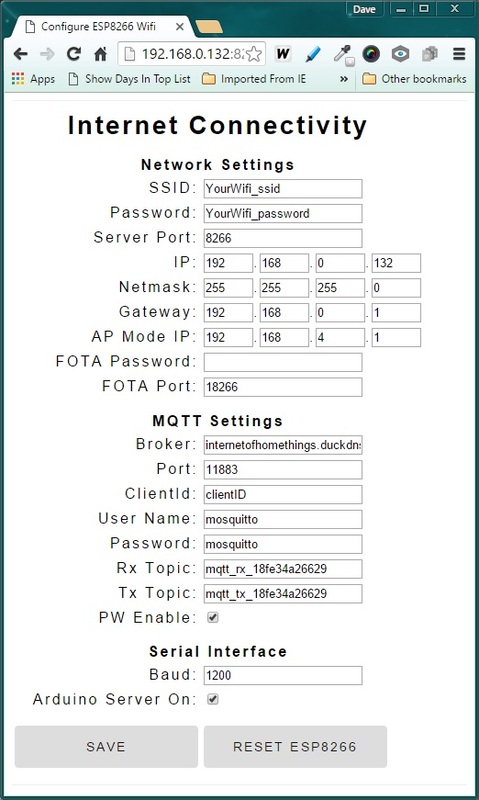 Remotly AUTO Update of firmware of IOT devise through FOTA using Server. 2. Storage of data locally when no internet connection and uploading theses data when the Internet connection restores. 3. Sleep mode implementation to conserve battery energy.wake up on fixed time of the day or when any external Input gets activated. But I did not find much resources in detailed on the internet. to contain all the information needed for a solution to the feature you need. However, I have not yet explored this feature and so have nothing additional to say about it at this time. But I may look into this soon and will present my implementation in a blog post.